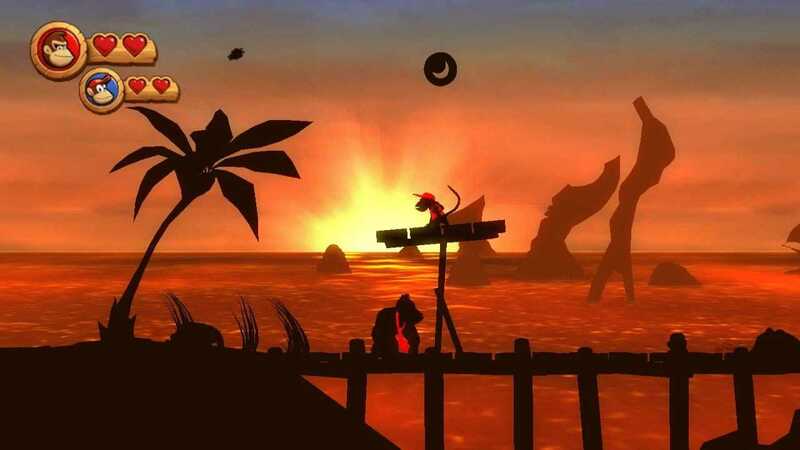 Under the influence of a group of evil Tikis, the animals of Donkey Kong Island have raided Donkey Kong’s banana hoard and stolen his stash of bananas – and being an ape of large appetites he understandably wants them back. Good thing that you are along for the ride. 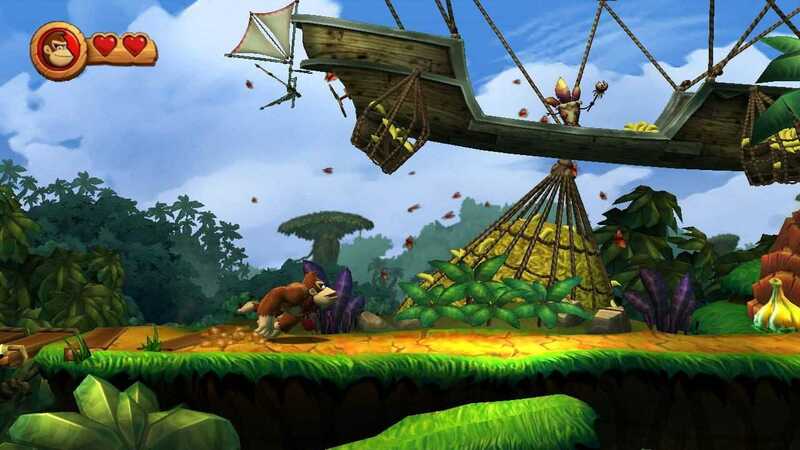 With Donkey Kong Country Returns, Retro Studios brings Donkey Kong back to a banana and platforming hungry public in a new side-scrolling adventure with familiar characters and new levels that reignite the passion players had for the Super NES original and all things Donkey Kong. 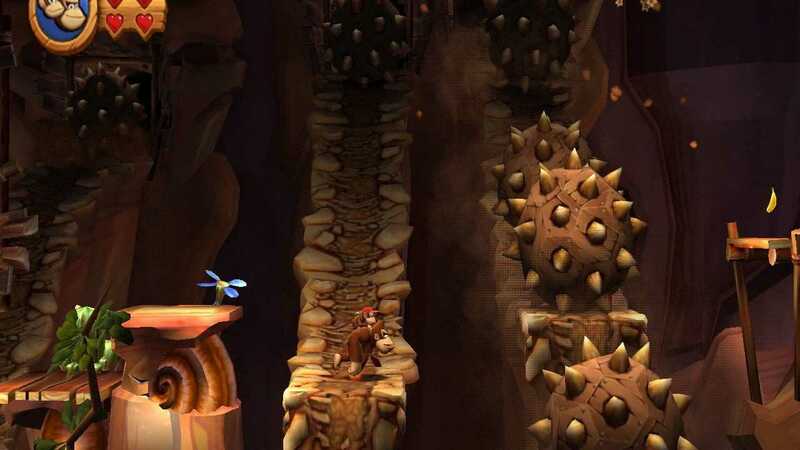 This is a side-scrolling platformer game in which players control Donkey Kong and Diddy Kong as they traverse through the jungle to collect various objects. 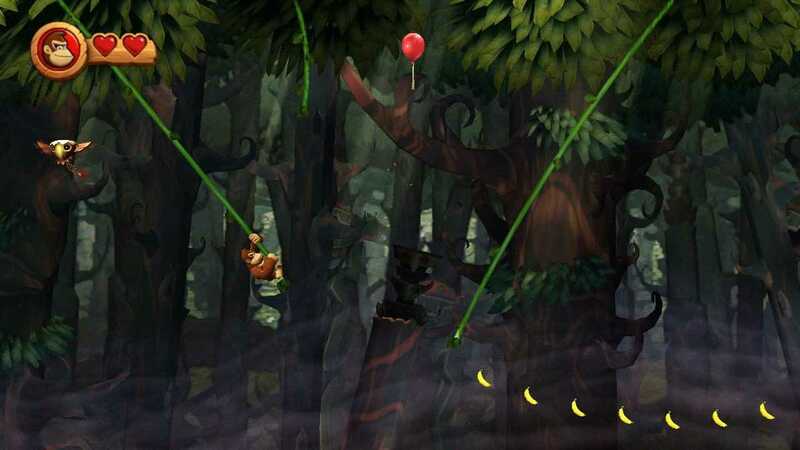 Players use rolling barrel attacks and jumping moves to defeat animal-like enemies (e.g., frogs, birds, tiki-like creatures) in each level. Enemies usually flash, break apart, or get knocked off screen when hit. 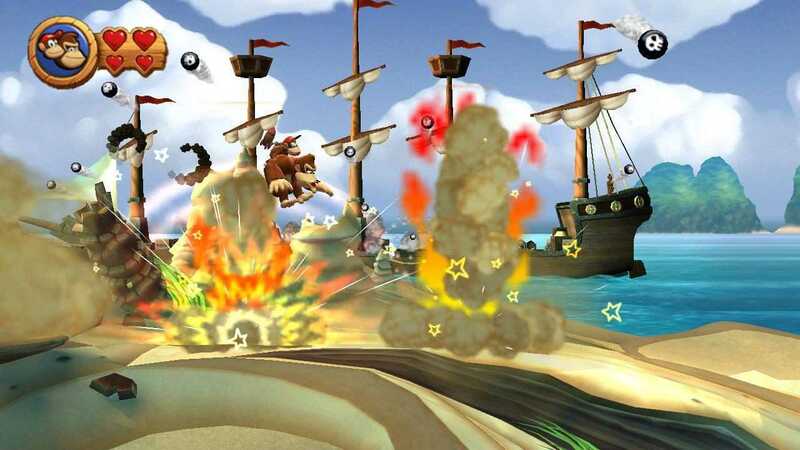 More protracted boss battles depict brief fiery explosions from cartoonlike bombs. Copyright © 2014 - 2019 SocksCap64, All Rights Reserved. Logos, Trademarks, Pictures Belongs To Their Respected Owners. Powered By WordPress. 115 Queries in 0.553 seconds.